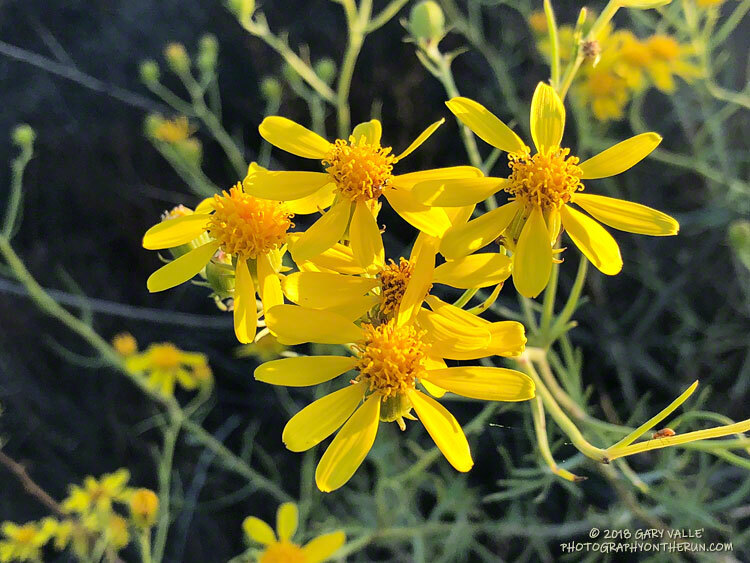 Yellow seems to be the predominant color of late-summer and fall wildflowers in Southern California. In addition to the bush Senecio pictured above; rabbitbrush, goldenbush, tarweed, telegraph weed and common sunflower come to mind. From a recent run of the Trippet Ranch loop, with a side trip to Temescal Peak.